When it comes time to trade-in your ride, you’re going to want to spend plenty of time considering your new vehicle’s engine. Both Pentastar and HEMI Chrysler engines can be found in a wide variety of Chryslers, Dodges, Jeeps, and RAMs, but the one that you receive will depend on the model and trim that you select. If you’re shopping with us, understanding the differences between these two pieces of machinery is an important first step. Pentastar: The Pentastar, one of the newer Chrysler engines, made its debut at the 2009 New York Auto Show, and entered production in 2010. Support for features such as Direct Injection, Dual Variable Valve Timing, and forced air induction have made it popular in a wide variety of models. HEMI: The most recent edition of the HEMI Chrysler engine—a special version of the popular Hemispherical Combustion Chamber engine design—was introduced and trademarked in 2003. Like all HEMI engines, it’s named for its domed head, which makes it relatively efficient in converting and conserving heat energy. 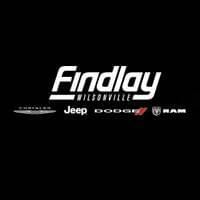 Our experts are well-equipped to help drivers in Wilsonville, Sherwood , and Salem find new vehicles that they’ll love to own. We know everything there is to know about Chysler’s engines, so if you want to learn more about Pentastar engines or HEMI engines, don’t hesitate to reach out! We’ll even help you value your trade-in and apply for financing when it’s time to trade up. 0 comment(s) so far on What is Pentastar? What is HEMI? Which Vehicles Have Them?